Weekly Happenings is a weekly digest of current events and happenings in astronomy and science, either local or worldwide. This is the place to grab a quick astro-fix to settle your anxiety about space or perhaps to woo your friends with your astro-prowess. Regardless, this is a place to kick back and get a heads up on cool things happening this week. Enjoy! This past May, a localized dust storm started on Mars, and has since grown so large that it covered the entire planet, by mid-June. Well that dust storm continues to hammer the martian skies. Though the storm is not a disaster for our science missions at Mars, actually it’s awesome for science, what it will affect is the fabulous views of Mars we were expecting mid-July – mid-August. Mars’ opposition (when Mars is on the opposite side of Earth than the Sun) happens on July 27th, followed by Mars’ closest approach to Earth on July 31st. At closest approach, Mars will be only 35.7 million miles distant, placing the red planet at its closest to Earth since 2003. During the weeks around closest approach, Mars would have put on a spectacular show for all of us sky watchers, with views of the ice caps, planitia, clouds over Olympus Mons and Elysium Mons, occasional dust storms, and all the dark “quadrangle” features on the Martian surface. Though the intense dust storm that is encapsulating Mars is currently blocking our view of just about all these features, offering up a featureless view resembling, as Dave Huestis described, “a peach”. Even if the storm subsided today, it will take a couple months for airborne dust to settle. Check out this image I captured of Mars on July 5th at Brown University’s Ladd Observatory showing a dust covered Mars. We aren’t closing the door on amazement, but that door is barely open. Even weather on Mars is hammering our views! On June 6, 2018, the NASA Dawn spacecraft, which has been residing in orbit at dwarf planet Ceres since 2015, reached its final science orbit. 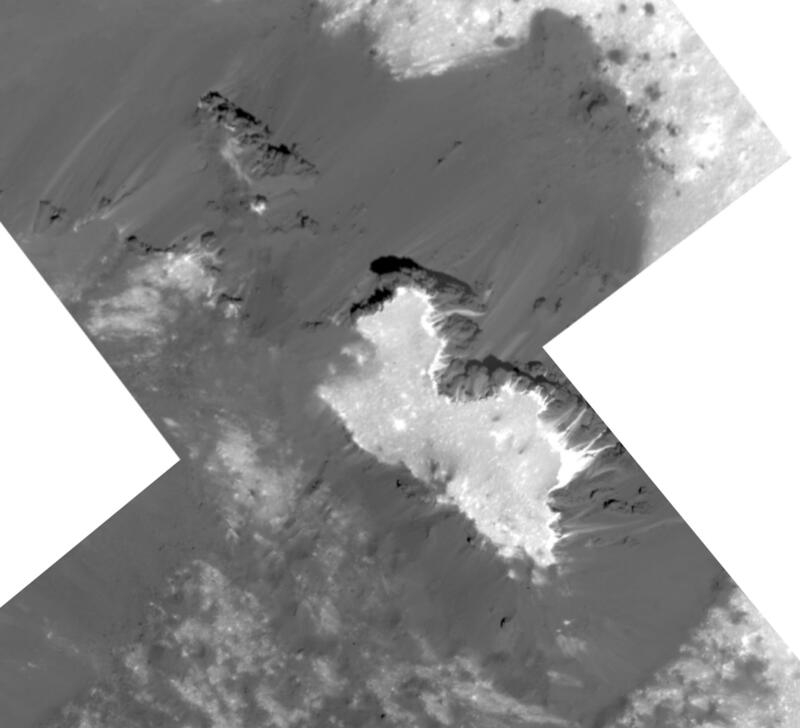 At a super low altitude of 22 miles, Dawn has been capturing fabulous images of Ceres surface! Think about that, the International Space Station orbits Earth at an average altitude of 230 miles. Earlier this week, the Dawn mission team released new images of the mysterious white spots in Occator Crater. These bright spots have been identified as sodium carbonate deposits on the Ceres surface. These deposits are the largest deposits of carbonates observed outside of Earth. Dawn will continue to rock this new orbit, sending back amazingly high detail images that will help us better understand the composition of Ceres, and the origin of these materials we are identifying on the surface. Check out this image of Cerealia Facula inside Occator Crater, captured on June 22, 2018, then geek out with the rest. On Tuesday morning, July 10th, another fabulous occultation of Aldebaran is coming to the skies for northern US sky watchers. Occultations happen when an object that is closer to Earth moves in between an object that is further away, effectively blocking our view of that object temporarily. Commonly, occultations involve the Moon, and this event is no exception. Being that the Moon orbits Earth inclined 5.1° to the ecliptic (path the Sun takes across the sky), any star that resides within 5° above or below the ecliptic become targets for lunar occultations. Aldebaran is the brightest star in the constellation Taurus and resides about 5° below the ecliptic. But the occultation will not be visible in the Northeast, with the Midwest having the best views. Northeast sky watchers will be treated to a fabulous conjunction of the 11% waning crescent Moon with Aldebaran passing only 1/10th of a degree to the bottom right. To see the conjunction, set out for 4:00 a.m. and look to the east. The Moon will swing past Aldebaran over the next hour with the closest visible approach happening around 4:30 a.m. ET. This weekend and coming week will bring a series of fabulous conjunctions involving Venus and the brightest star in the constellation Leo, Regulus. Starting tonight, Venus will appear just over 3° to the west of Regulus. Each night over the next three days Venus will close in on Regulus, visibly coming within 0.5° of Regulus on the evening of July 9th. After which, Venus will start appearing on the Eastern side of Regulus, with an increasing visible separation each night. Catching sight of these conjunctions is a cake walk, just step outside about 30-60 minutes after sunset and look to the west. Venus will be shining like a beacon high above the horizon. If you catch a photo of the conjunction, post it on our Facebook and we’ll share it on our timeline. Now get out and see some stars!